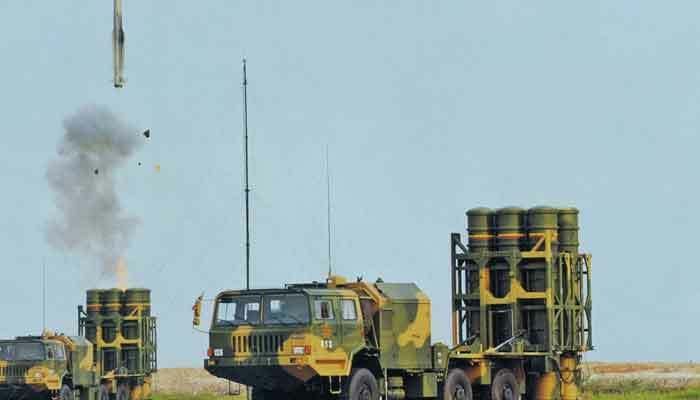 ISLAMABAD: Pakistan has deployed the Chinese-made medium-range air defence missiles in several cities and military bases to prevent possible new strikes by the Indian Air Force (IAF). The development took place in the wake of IAF intrusion inside Pakistani in February, DNA news outlet cited intelligence reports as saying. On Saturday, Pakistani President Arif Alvi chastised India for having what he described as an “irresponsible” attitude amid ongoing bilateral tensions, which escalated after an Indian Air Force jet intruded in Pakistan last month. The development comes after Pakistani President Arif Alvi accused India of having an “irresponsible” attitude and praised Islamabad’s immediate and effective response to Indian aggression. “After the Pulwama attack, India blamed Pakistan without any evidence. India did not adhere to international laws and violated Pakistan’s airspace,” Alvi said, referring to the 14 February attack on an Indian security convoy in the Indian-Held Kashmir, which claimed the lives of at least 40 security personnel.